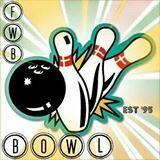 This page lists youth bowling leagues in the Okaloosa County, Walton County and Bay County, Florida, Florida area. Youth League plays on Saturday mornings. Call for registration info. White Sands has a youth league on Saturdays. Call for signup info.